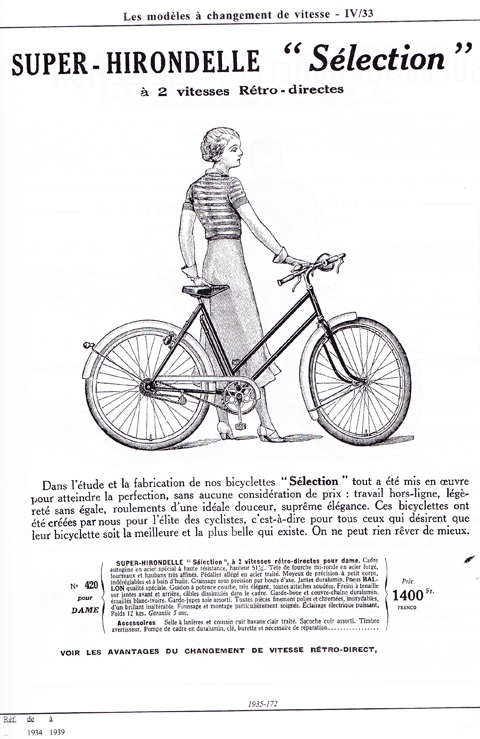 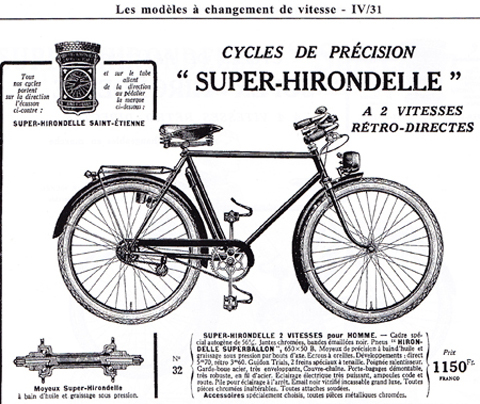 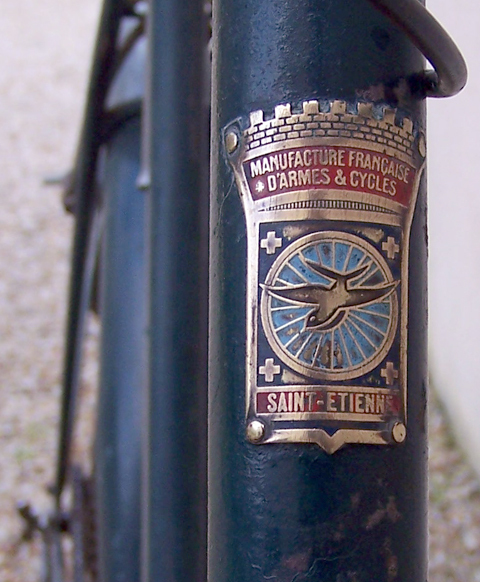 The Manufrance Hirondelle Retro-Directe is one of my favourite bikes. 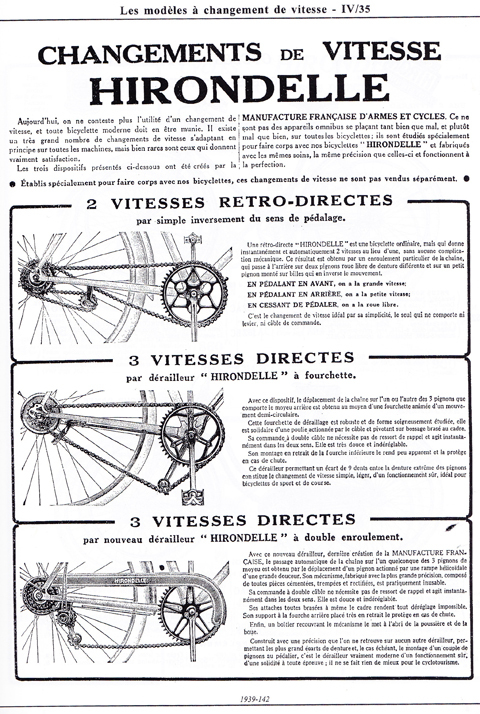 You might expect bicycles with such a curious gearing arrangement to be temperamental. 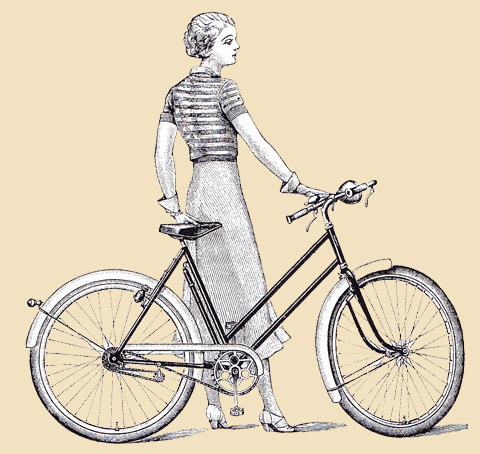 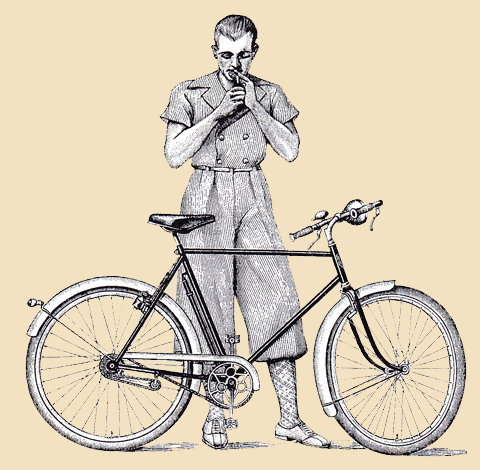 But I have never had a problem with them, and have always been able to amaze passers-by and other cyclists with the machine’s fabulous party trick …pedalling backwards. 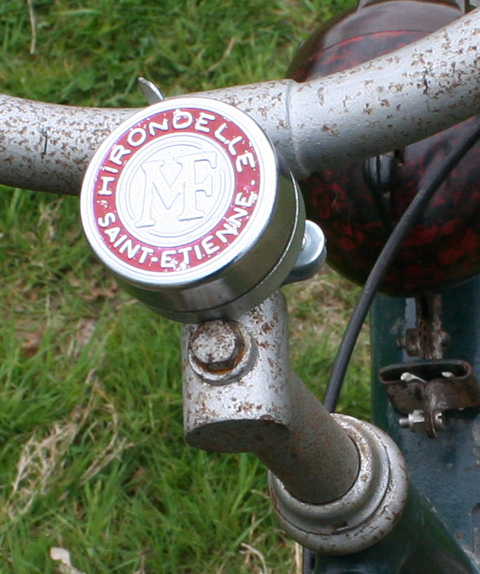 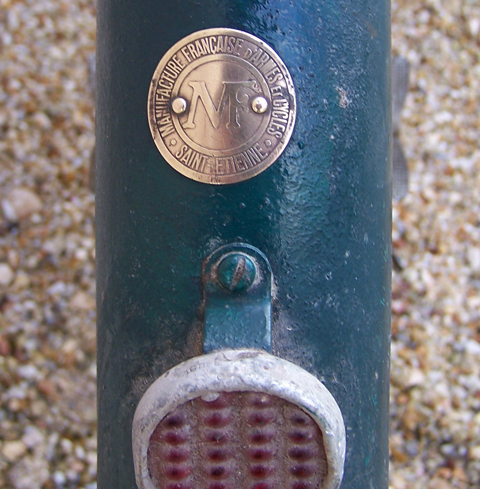 Below, you can see the Manufrance in my display at the Amberley Museum Veteran Cycle Show (1952 Rollfast Hopalong Cassidy behind). 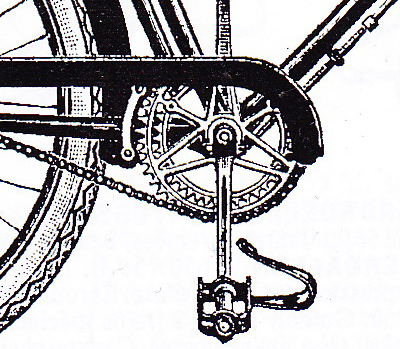 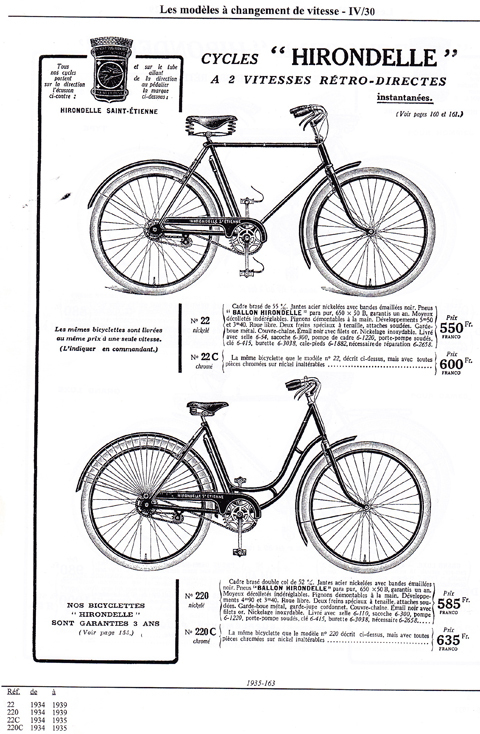 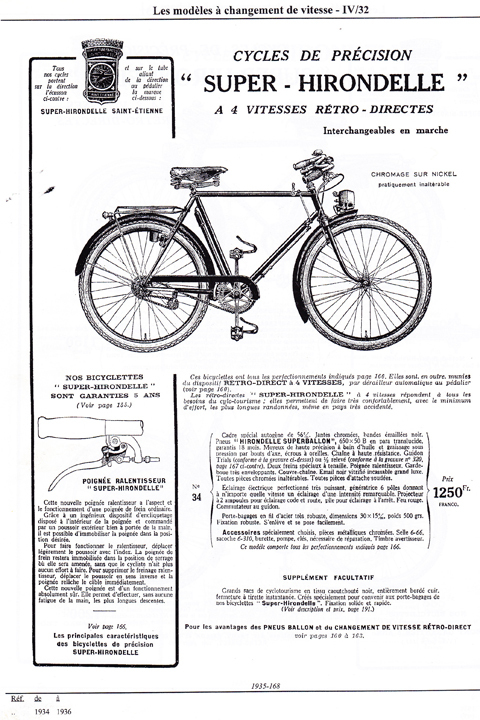 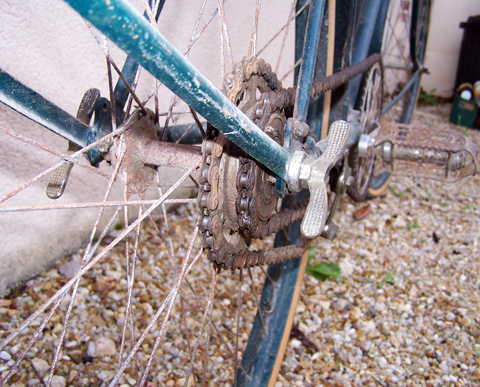 (Below) I’ve enlarged part of the above page so you can see the different pedal crank on the 4-Speed. 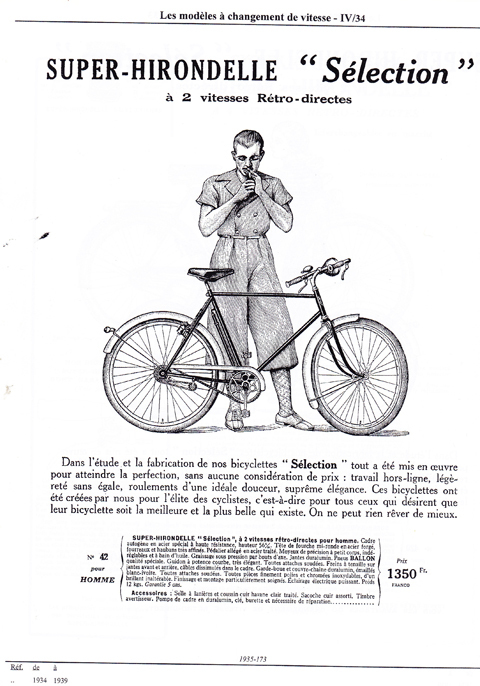 Here’s the Retro-Directe when it first arrived, before I accessorised it.